OK, Tomorrow ( June 17th ) is Father's Day. Well, at least here in the USA, not sure about other parts of the world. Is this an International Holiday? Yeah, I'm an Idiot! 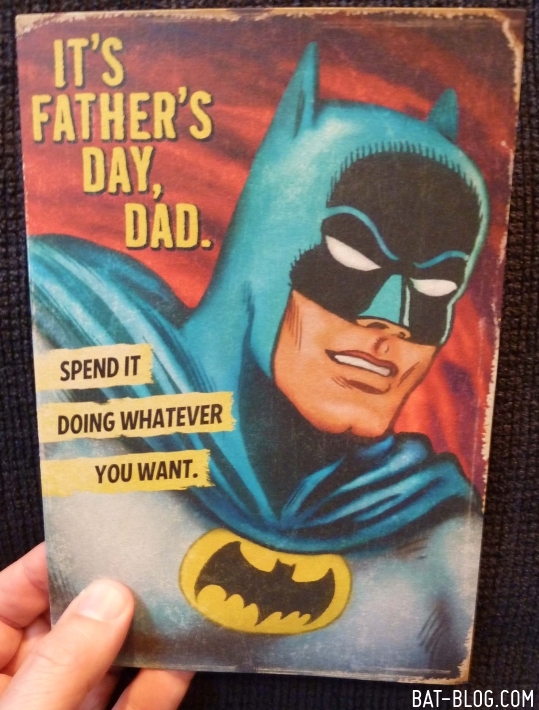 Anyway, Hallmark Cards has a brand-new RETRO-STYLE BATMAN Father's Day Greeting Card that has ultra-cool super-amazing graphics!! Seriously, I love the vintage artwork here! I don't even have a Dad & I might buy one, ha! 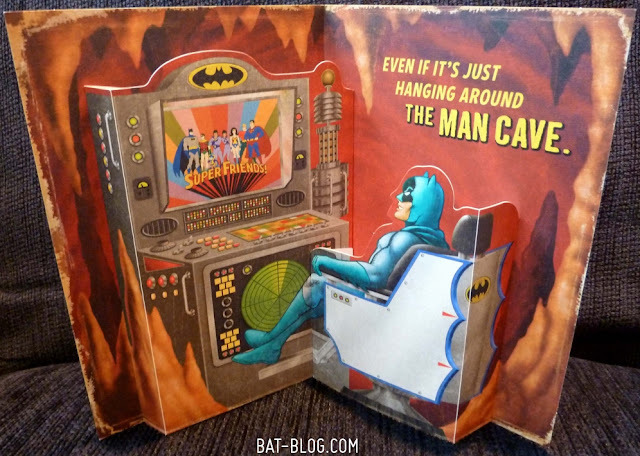 ( A special Thanks to our Buddy BatDave for finding this new merchandise ). Got this card for my dad! It is one of the best I've ever goten!